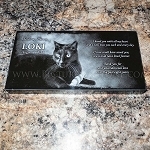 A proof for approval will be sent prior to engraving on all orders. 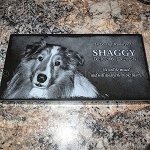 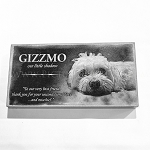 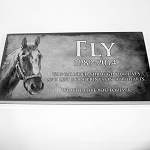 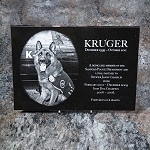 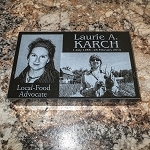 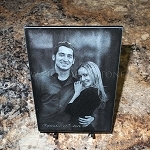 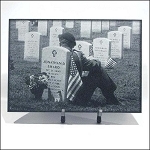 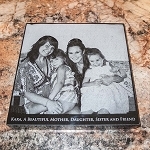 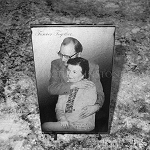 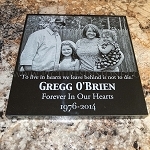 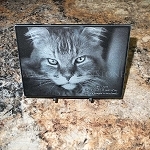 Using the latest in advanced laser technology, Pictures In Stone creates unique personalized and photo engraved gifts, plaques and memorial stones. 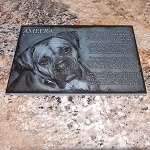 We work from your own photos and text to create remarkable engravings in granite and marble that will last forever. 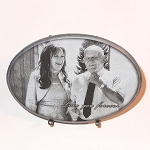 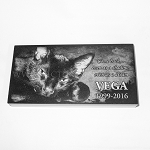 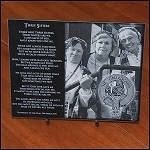 Whether you are looking for an original gift for a wedding or anniversary, a plaque to commemorate someones achievements, or a memorial stone for a lost loved one or pet, we will design and engrave an everlasting stone image that can be enjoyed for generations. 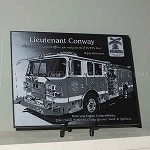 Our experienced design team will work closely with you from start to finish to ensure that your exclusive one of a kind product is exactly what you envisioned. 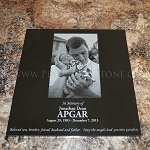 A proof of the finished design will be sent to you for your approval before any engraving is done. 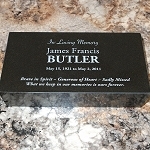 We use only the finest imported black granite for out memorial stones, head stones, garden stones and plaques. 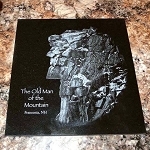 These stones will last for generations outdoors in any weather. 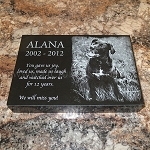 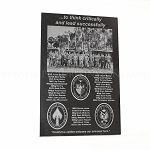 Our black marble engravings can be enjoyed indoors indefinitely and will never fade or discolor. 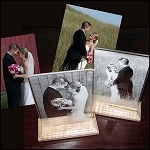 Call toll free 866 796 3776 with questions or assistance in placing an order or email GSTLASER@gmail.com.